On October 30, 1897, S.J. Shwartz, Gus Schullhoefer, and Hartwig D. Newman with financial backing from banker Isidore Newman opened the Maison Blanche at the corner of Canal Street and Rue Dauphine in New Orleans. Converting Shwartz's dry goods store into the city's first department store, the trio created a retail brand whose name lasted over a century. 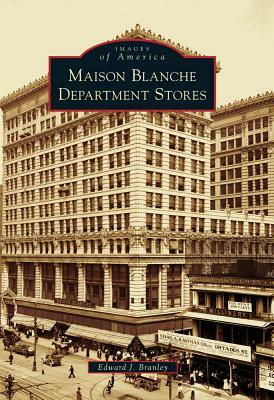 In 1908, Shwartz tore his store down and built what was the city's largest building 13 stories, with his Maison Blanche occupying the first five floors. The MB Building became, and still is, a New Orleans icon, and Maison Blanche was a retail leader in the city, attracting some of the best and brightest people in the business. One of those employees, display manager Emile Alline, created the store's second icon, the Christmas character Mr. Bingle, in 1947. Mr. Bingle continues to spark the imagination of New Orleans children of all ages. Even though Maison Blanche has become part of New Orleans's past, the landmark Canal Street store lives on as the Ritz-Carlton Hotel.